Agnes Mposwa is 15 years old. She was married at the aged of 14 and has a four month old daughter. 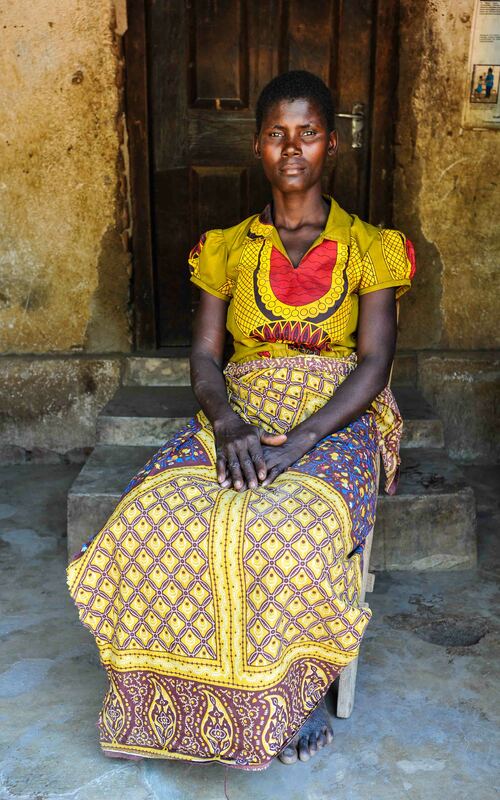 She lives with her 18 year old husband Simon in Muwawa village in Malawi. She is waiting for her exam results. 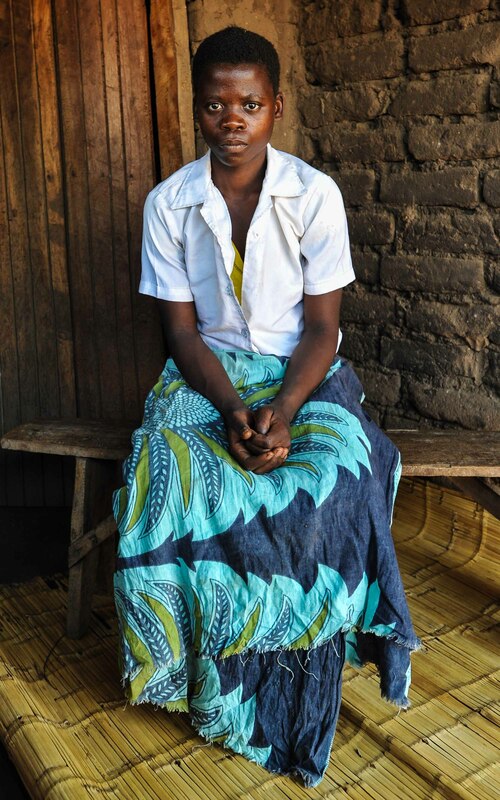 “I am Agnes Mposwa and I am 15. I was married at the age of 14. I got married early because my parents are farmers. “They grow tobacco and during the last growing season they harvested very little. They were unable to support my education. So I was just staying home. 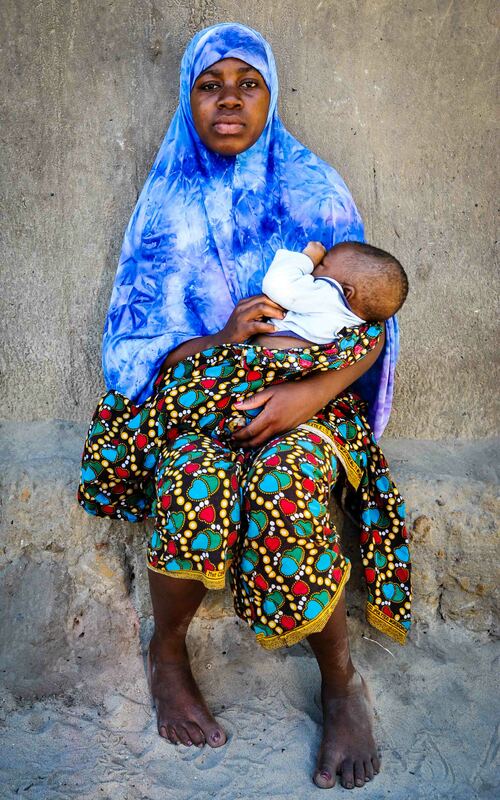 “If my father had harvested enough, he would have let me continue to go to school. But because he harvested little, he said he would marry me off. “In the past, my parents used to manage to support the family. But we are a lot of children, so they were unable to support us all when I reached secondary school. “I have accepted that climate change has affected my life and brought me where I am now. “I do not blame my parents because they have done their best in the past. Last year is when things got worse due to climate change. “If the climate did not change, then I would be in school now. I have to accept that my parents tried their best but it failed because of climate change. “It is because of careless cutting down of trees that has led to climate change. Also in riverbanks, where the tree are cut off, and this has led to soil erosion. And because of that, the fertility of the land was reduced. Because part of the ground that was fertile soil has been washed away to the rivers. “My parents were against my decision to get married, but since I had nothing to do besides staying home I decided to get married anyway. “I decided to find a man who could support my education. But I now regret my decision because he was not able to support me to go to school as I would have expected. “There was no formal proposal. We just fell in love and the relationship started. “There was no marriage ceremony. He lived with his parents. So I just went and lived with them in the same house. “My mother and my father are divorced. I was the only child in that family. But my father also has two other wives. And we are about eight children. My father is only able to support five of us to go to school. “It may be a rush decision to get married. It was not a wise decision. Because now I cannot continue my studies. If somebody could support me, I would go back to school. “The first day was a new experience. It was the first time. I was surprised that this is what happens when people got married. “The happy part was that I was living with a man. When people looked at me, they saw my status as a married woman. But the part I was concerned with was about my future and education. With this marriage, it is difficult for me to continue studying.